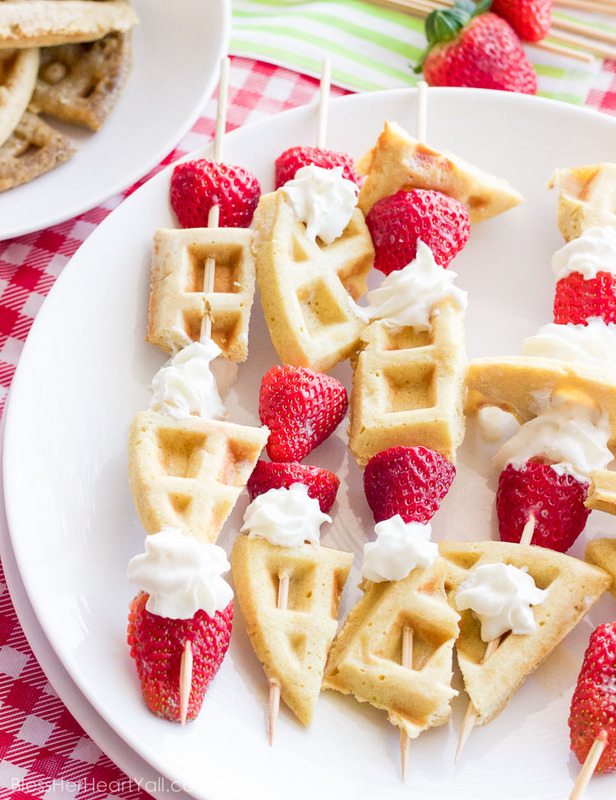 These gluten-free waffle skewers make breakfast fun and tasty. 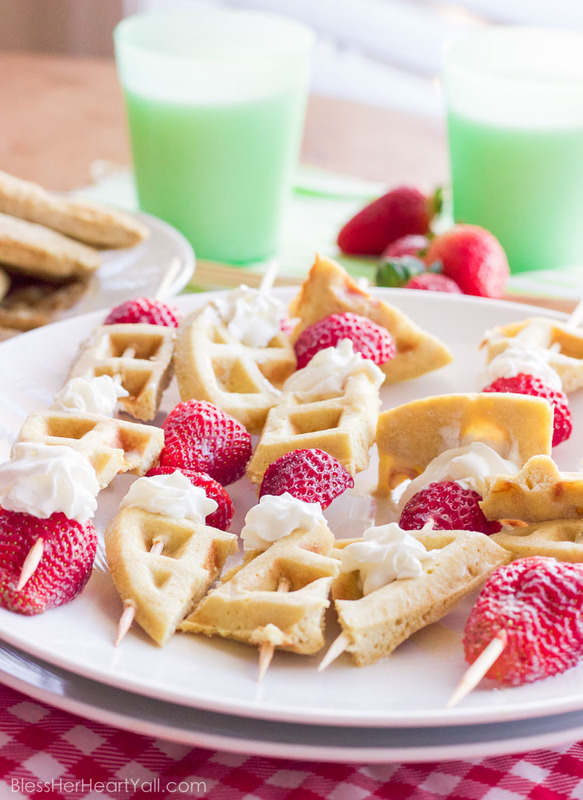 The sweet brown sugar waffles go great with fresh berries and creamy whipped cream. And the best part? 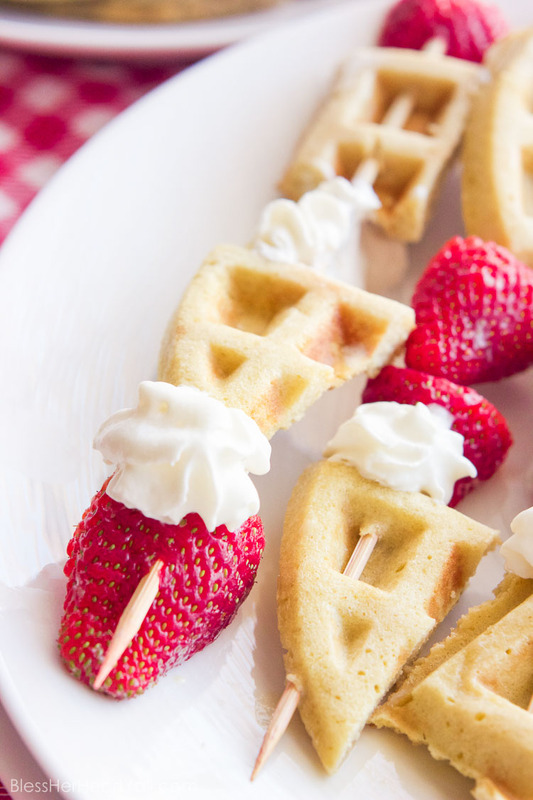 Breakfast is on a stick! 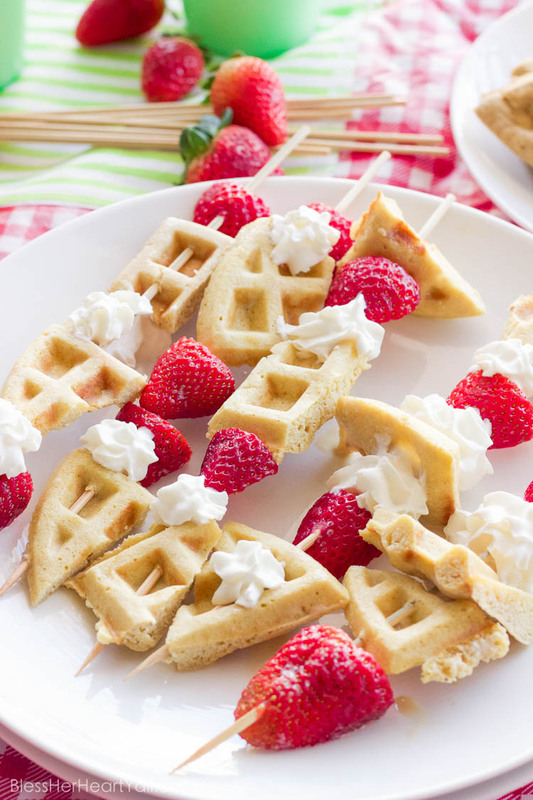 Food on sticks, like these gluten-free waffle skewers, are always fun to eat. After living across the street from the Minnesota State Fair Grounds during vet school, I grew pretty accustomed to foods on sticks. With millions of visitors in just two weeks out of the summer, the Minnesota State Fair is basically a staple for everyone living in Minnesota. And Minnesotans have a obsession with foods on sticks. Everything from corn dogs and candy bars on sticks, to more uncommon spaghetti and meatballs and mashed potatoes on sticks, Minnesotans love eating off of sticks! 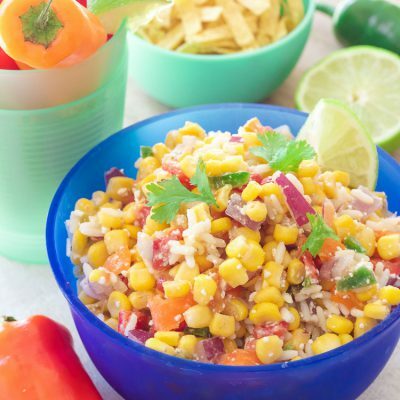 Having celiac disease and having to adhere to a gluten-free diet meant that going to the state fair was a little bit trickier for this previous Minnesotan. I had to pass up on a lot of those fun food sticks. But nowadays, I have something else that completely makes up for lost time! 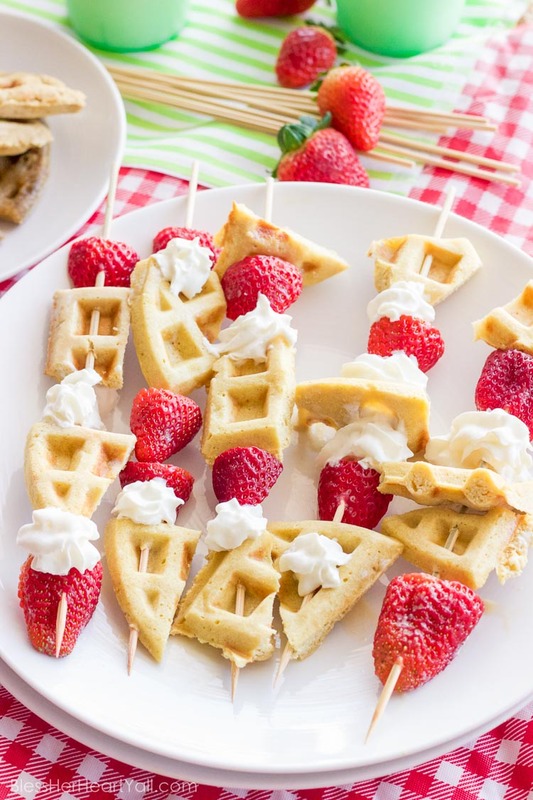 These gluten-free waffle skewers are really simple and quick to put together. 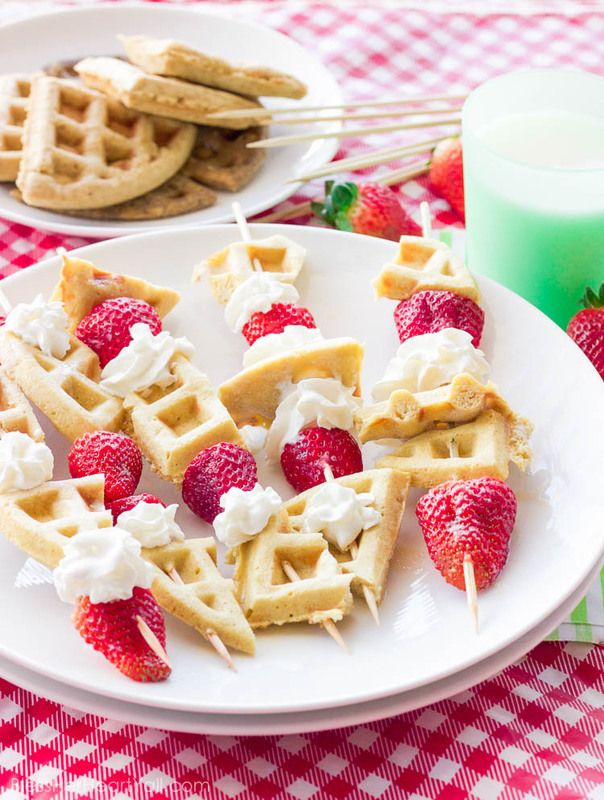 The brown sugar waffles take 5 minutes to bake, and the strawberries can be washed and halved in even less time. 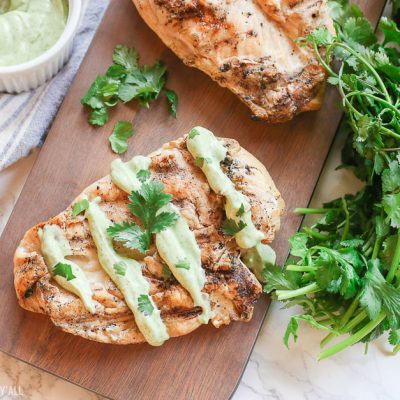 To keep it completely gluten-free, find a whipped cream that is gluten-free or use BHHY’s easy (and freaking delicious!) whipped coconut cream recipe. If you want to make these fun treats one step fancier, I like to drizzle them with fresh honey or sprinkle with a little confectioners sugar. 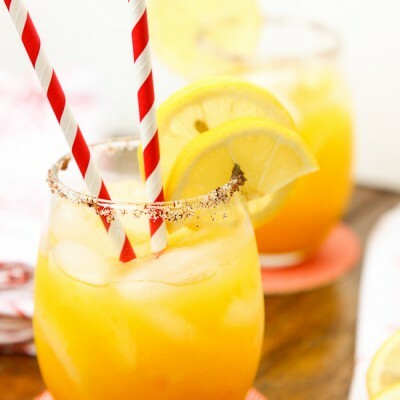 I have even added banana slices for a yummy little twist. These brunch-worthy sticks will be popular with everyone, especially the little ones. BUT… please be careful with the skewers and the little fingers! I’d hate to hear of serious injuries while snacking! 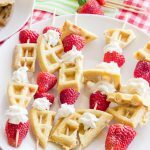 Place the waffle pieces and strawberry halves carefully on the skewers (please don't poke yourself) and place flat on a platter. 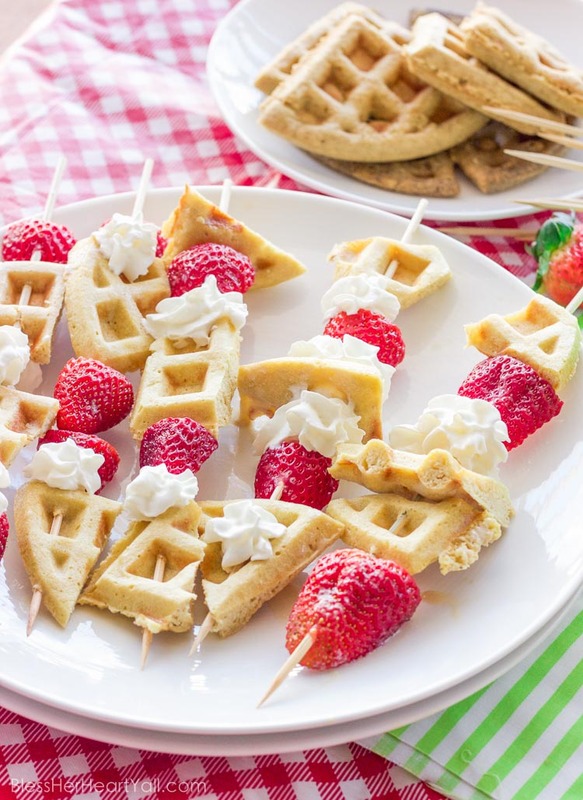 Place tablespoons full of whipped cream between the waffle and strawberry pieces.